The company is now headquartered in Orlando, Florida and still coming up with new products.One of their strengths has always been the ability to figure out what the market needs and then respond to it quickly. First, they brought unbreakable food storage to the table, changing colors and shapes to fit each era. 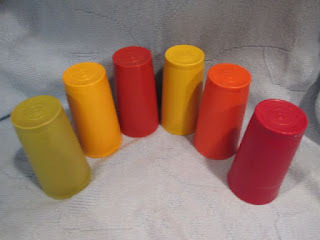 Microwave ovens came along and they invented microwavable plastics, they came up with drinking glasses and pitchers, picnic ware and toys for kids and every piece of kitchen plastic you can imagine. Selling Tupperware empowered women; they could have their own business at a time when opportunities for women were shrinking as men returned from World War II. 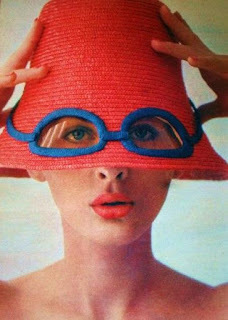 Back in the day, there was a strict dress code and Tupperware Ladies had to wear skirts and nylon stockings, and often white gloves were part of the ensemble. Still, Tupperware let women get together, have fun and shop at a time they were feeling isolated after the relative freedom of the war years. 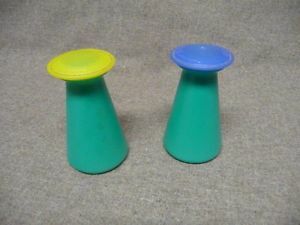 Everyone of a certain age remembers Tupperware tumblers. 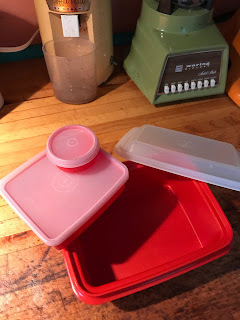 The original Tupperware was not cheap, in the 1940's, a piece ran from $2-$5, which is really expensive when bread was a dime and flour was 25 cents for 5 pounds. It replaced the breakable glass pieces being used up to that time and lasted even better. Vintage Tupperware is still available and appeals on several levels; nostalgia for our mothers and grandmother’s eras, reducing our carbon footprint by reusing the containers instead of throwing them away, plus the great selection and colors that appeal to the MCM palate. Wonderful salt and peppers, look at those colors! 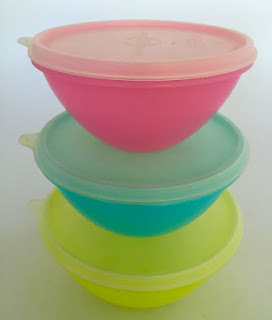 Some Tupperware is actually very collectible like the old Wondelier round pastel bowl sets. In excellent shape they can run as much as $50 for a set. 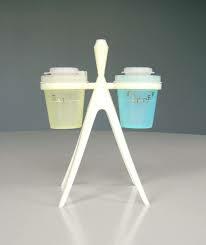 The rare sculptural salt and pepper sets from the 60s and 70s can fetch up to $100 in mint condition. 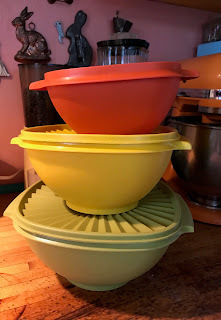 eBay has a set of 60s Servilier bowls in earth tones (hello burnt orange, avocado green, harvest gold and cocoa brown) for $75, although one can actually do the leg work and hit estate sales and thrift stores and mine for lots of good Tupperware at great prices. 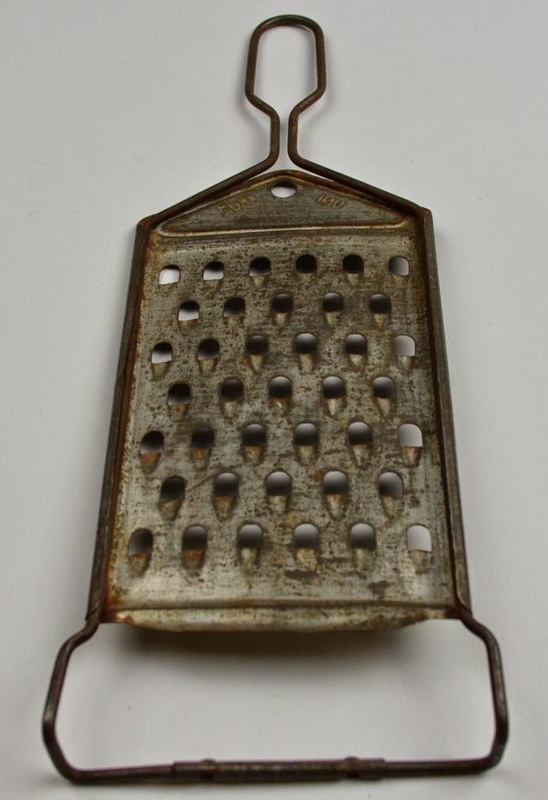 It’s never going to go out of style and it’s a fun entry level collectible that's useful too! My own set, still going strong after all these years.